Interview with Catherine Tactaquin: Better Policy Empowering Women. Watch it here. 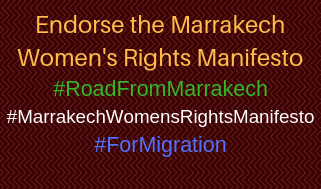 A document prepared for a workshop at the 5th World Social Forum on Migration in 2012 and a workshop at the 57th UN Commission on the Status of Women in 2013.